Michael Blaakman is an assistant professor of history at University of St. Thomas. 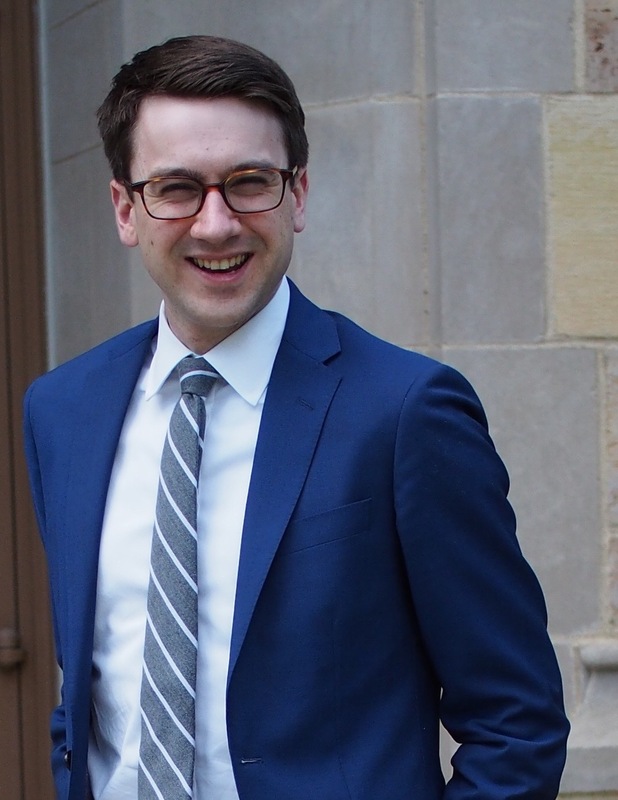 His Yale University dissertation, “Speculation Nation: Land and Mania in the Revolutionary American Republic, 1776-1803,” won the 2016 SHEAR Manuscript Prize. The Republic (TR): Since most SHEARites won’t be able to read your dissertation until it is published, would you please provide a synopsis? Michael Blaakman (MB): Certainly! Speculation Nation is a political and cultural history of the frenzied wave of land speculation that swept the new republic in its first quarter-century. As folks who’ve spent time swimming around in family papers from the 1780s and 90s know all too well, this was an era when thousands of elites were buying up millions of acres of claimed or expropriated Native American land—what Euro-Americans considered their own “public” domain—expecting that they’d be able to resell it for astronomical profits. The speculative market grew so furious, and so unprecedented in scale, that contemporaries and historians alike have described it as a “mania.” My study asks what that meant, why a “maniacal” market in lands emerged, and what it has to tell us about the outcome of the American Revolution and the origins of U.S. empire. I find that the answer lies in the explosive connection Americans forged between expropriated land and the fiscal and political constraints of revolutionary state formation. Speculation Nation uncovers a nationwide pattern: in the years following independence, state and national U.S. governments framed settler-friendly policies for converting the Native lands they claimed into public revenue. But by the 1790s they had changed tacks and were selling vast tracts to speculators with alacrity. My manuscript follows land speculators “in action” to understand that shift—why speculators chose to invest so deeply in the imagined future of an American empire, and how they managed to do so. I reconstruct their strategies for lobbying and bribing governments, for hounding veterans to sell their depreciated land bounties, and for exploiting loopholes in land policies and the money system and federalism’s multiple sovereignties. I trace their attempts to grapple with Native American resistance, to develop the legal and cultural tools to commodify land, to market the yeoman ideal while waiting for land values to rise, and to court European investors and migrants. Ultimately, Speculation Nation argues that land became a mania when Americans cast the sale of Native land to speculators as the basis of revolutionary statebuilding. By financializing the land that undergirded the settler-colonial early American “dream,” speculators inserted themselves into the process of expanding a republican empire. TR: What led you to choose this dissertation topic? MB: It was a convergence of things. I had encountered lots of revolutionary-era chatter about land speculation in prior research, and always felt mystified by it. So questions about it were banging around the back of my head. But I had arrived at grad school interested in political culture; I was intimidated by anything that smacked of economic history, and wished not to touch it with a ten-foot pole. My entering cohort, however, included a handful of brilliant students of twentieth-century labor history and political economy. I became excited by the questions they were asking—the ways they sought to cut across the boundaries that have typically divided the study of politics from the history of economic life. At about the same time, in our own field, innovative studies of capitalism were moving past a prior body of work (Gordon Wood et al.) that had posited the American Revolution as the origins of a democratic capitalism. While prepping for orals, I grew concerned that this newer scholarship had altogether abandoned the Revolution as a causal turning point. Reading in other fields helped me see that literature with a skeptical eye; it convinced me that the state is essential to capital formation, and that periods of state-building—like the American Revolution—*must* therefore matter to the economic stories historians tell. Then I finally read Alan Taylor’s William Cooper’s Town. I devoured much of it on a road trip and can still remember the towns we passed through as the chapters flew by. I was fascinated by Cooper; I sensed he had this thumb on something central to the contested history of American democracy and statecraft and capitalism, and wanted to know more about folks like him. But when I surveyed the historiography—elite biographies, social histories of settler communities, studies of borderlands conflict—I realized that the goals and methods of land speculators appeared different in every regional study I read. I couldn’t find the overarching, national account I sought, the one that would explain why Federalists and Republicans and others, from Maine to Georgia to Amsterdam, understood themselves as part of a single “mania” for lands, and why it emerged when it did. That was when I realized I’d landed on a problem I’d be excited to grapple with for a decade. TR: Which historians and/or writers most influenced your research? MB: One of my favorite parts of being an historian is trying on approaches that I admire in other researchers and writers. This could be a very long list, but to name just a few of the people whose work has influenced my own: my mentor, Joanne Freeman, is my guiding light when it comes to reading evidence to unearth the human stories and unspoken rules that can help us comprehend prior worlds. I try to follow the examples of Jane Kamensky, Seth Rockman, and Stephen Mihm, who’ve managed to spin histories of economic life that normal humans might be interested in reading—no easy task. I’m inspired by new studies of early American political economy by Brian Murphy, Honor Sachs, Gautham Rao, and others, and I look to Steve Pincus, Max Edling, and Peter Onuf to understand how empires and state institutions function. I learned to think about markets, culture, and commodification by reading historians of slavery like Stephanie Smallwood and Walter Johnson, and my analysis is also informed by scholars of settler colonialism like Lisa Ford and Patrick Wolfe. Dan Richter makes me feel like it’s okay for serious scholarship to revel in a bit of wordplay, and serves as my model for centering the moral stakes in history. And by their example, two of my undergrad mentors—Carol Sheriff and Camille Wells—remind me of the joy of historical inquiry and the imperative to get it right. TR: What is your next project? MB: For the next couple years I’ll be trying to make Speculation Nation the best book it can be. But as that project winds down, I plan to turn my focus to a book I’m calling “Simcoe: Enemy of the Revolution.” John Graves Simcoe was a globetrotting British official, governor of Upper Canada in the 1790s, and one of the new nation’s most persistent antagonists. He disparaged the new republic as too democratic, and some of the land speculators I’m currently studying considered him the bane of their existence. But his policies in Canada—refugee aid, abolition, state-driven economic development, amicable Indian diplomacy—make him seem modern, even revolutionary, compared to many U.S. founders. I’m interested in that paradox. Both Simcoe and his wife, an artist and diarist named Elizabeth Posthuma Simcoe, left sources that provide a rich window on the North American borderlands and the Atlantic world—not just their own experiences, but those of a host of others affected by the emergence of a republican U.S. empire: women and men, settler, Native, free black, and enslaved. Less a dual biography than a character-driven narrative history, this project will use the Simcoes’ lives to probe the meaning of the American Revolution from the outside in. Jane Kamensky is Professor of History at Harvard University and Pforzheimer Foundation Director of the Schlesinger Library on the History of Women in America at the Radcliffe Institute for Advanced Study. 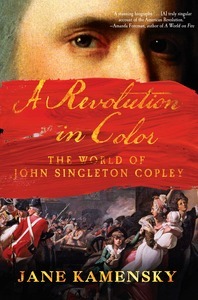 In addition to winning the 2016 James Bradford Biography Prize from SHEAR, A Revolution in Color: The World of John Singleton Copley (2016) was awarded the New-York Historical Society’s Barbara and David Zalaznick Book Prize in American History and the Annibel Jenkins Biography Prize of the American Society for Eighteenth-Century Studies. It was also a finalist for PEN’s Jacqueline Bograd Weld Award for Biography, the Marfield Prize for Arts Writing, and the George Washington Book Prize. TR: I would venture to say that many Americans have never heard of John Singleton Copley. What led you to choose him as the subject for this book? TR: In 2008, your novel Blindspot, co-written with Jill Lepore, was published. 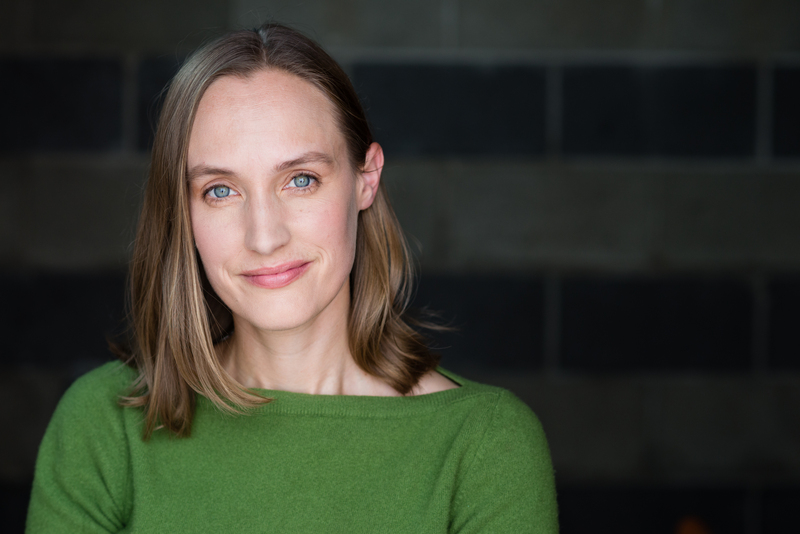 How does writing a historical novel differ from writing non-fiction? Do you think that experience influenced your writing of A Revolution in Color? JK: Blindspot actually introduced me to Copley’s letters; Fanny Easton, the protagonist I wrote for that novel, is based in many ways on Copley. Writing a novel was a wonderful chance to think about the past in sensory and affective terms. Writing history is a more distant enterprise in many ways, but Blindspot taught me fresh ways to seek the story, and to think about reading the past forward, and from the inside out. JK: I’m working on another biography of an artist in an age of revolution: the feminist pornographer Candida Royalle (1950-2015). It’s a departure in many ways, but has surprising continuities as well. I’m still living part-time in the eighteenth century, via a number of teaching and writing projects. Matthew Karp is Assistant Professor of History and Elias Boudinot Bicentennial Preceptor at Princeton University. 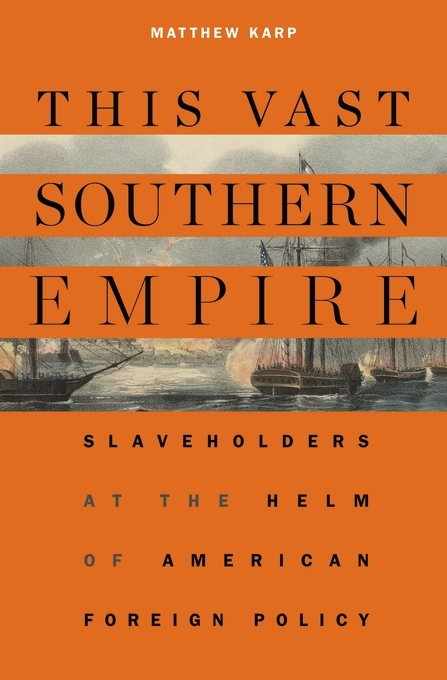 His book This Vast Southern Empire: Slaveholders at the Helm of American Foreign Policy (2016) was co-winner of the James Broussard Best First Book Prize. The Republic (TR). For those who haven’t read your book, would you please provide a synopsis? Matthew Karp (MK): The book explores the ways that southern slaveholders directed U.S. foreign policy in the decades before the Civil War. Slaveholders were overrepresented in every branch of the antebellum federal government, but as presidents, cabinet officers, congressional committee chairmen, and diplomats, they were especially dominant in the realm of foreign and military policy. After the shock of British emancipation in the Caribbean, the book argues, antebellum southern elites came to understand the United States as the western hemisphere’s leading champion of slavery. Slaveholders embraced an assertive, even aggressive foreign policy that mustered the full force of the federal government to help protect slave property across the hemisphere, from Texas to Cuba to Brazil. The antebellum era’s most ambitious military reformers were proslavery leaders like Secretary of the Navy Abel Upshur of Virginia and Secretary of War Jefferson Davis of Mississippi. Far from isolated reactionaries, decrying the advance of modernity, America’s most powerful slaveholders were confident that slavery — by the 1850s, more extensive and more prosperous than ever — was fully compatible with modern development on a global scale. Only the victory of Abraham Lincoln and the antislavery Republican Party in 1860 convinced southern elites to abandon the United States and found their own independent slaveholding republic. MK: It goes back a while. As an undergraduate, my favorite courses were on 20th century U.S. foreign policy — with class discussions that pivoted on the great ideological and strategic struggles of the 20th century, between fascism, communism, and capitalism. It occurred to me that not many people wrote about 19th century foreign relations in the same terms, even though the struggle over slavery was in some ways just as epochal and just as international. I did my undergraduate thesis on slavery, antislavery and the British response to the U.S. annexation of Texas. In graduate school, working with two historians of the South (Steven Hahn and Stephanie McCurry), I decided to focus more explicitly on the South and foreign policy. That led pretty directly to the foreign policy of slavery. MK: That would be a long list — and my endnotes probably tell the story more eloquently than anything I can say here. But to zoom out for a bit, my list should probably begin with W.E.B. DuBois, whose writings on Atlantic slavery and the Civil War era built a kind of foundation for the way we understand these things in the 21st century, even as his work was marginalized by the academy during his lifetime. The book’s epilogue is built around Du Bois’s commencement address at Harvard in 1890, which bore the provocative title “Jefferson Davis as a Representative of Civilization.” Another legendary historian who thought in very large terms, and whose work I find myself returning to again and again, is Eric Hobsbawm. His influence on the book I think is apparent — even, or perhaps especially, when I disagree with him. Of course, the book was also shaped by the more recent outpouring of scholarship that approaches the early American republic (and American slavery) in international terms. Rather than tick off an endless list of names, I’ll single out two younger historians whose work had a concrete influence on my own. I was thrilled to share the Broussard prize with Caitlin Fitz, whose research on US attitudes toward Latin American revolutions helped me frame and periodize my early chapters, on the emergence of a distinctively proslavery foreign policy after British emancipation. And Brian Rouleau, whose work I’ve cribbed from since grad school, helped me think about US foreign relations not just in terms of armies and territories, but steamships and oceans. TR: Many Americans seem to accept the notion that the South was a marginalized region that threw off northern oppression in the secession winter of 1860-61. Why do you think that idea persists, despite the voluminous scholarship that historians have produced that shows otherwise? MK: It’s an interesting question. Part of the problem, I think, is that often this is really a political battle masquerading as a historical debate. For some people, idea of an oppressed antebellum South — fighting off a bullying Northern overdog — has come to play an important role in their own personal and political identities. It’s sort of a proxy war for more complex contemporary struggles, involving race, class, and region. In that sense, I think historians are kidding themselves if they think that these questions can be resolved, or even advanced, by a non-partisan appeal “to the facts.” To the extent that this is a political struggle, it has to be fought politically. That means appealing to people with arguments that resonate with their everyday lives, not brandishing documentary evidence that proves something about secession, however definitive. I’m not saying we should stop making historical arguments — it’s our job to get the facts right, which means rejecting the bogus narrative of Southern oppression — but I don’t think we should kid ourselves that facts alone will move the ball. The climate change battle is another reminder of this. Tracing the intellectual genealogy of that idea is somewhat easier. The notion that the South was “marginalized” before 1860, I think, really only takes off after the end of the Civil War, when ex-Confederates like Jefferson Davis and Alexander Stephens composed their long and self-serving histories of the rebellion. For a long time, historians continued to look at the antebellum South from the perspective of Appomattox — consciously or unconsciously using the South’s wartime defeat as a way to emphasize southern weakness before the war. My book joins a host of recent scholarship that thinks we should examine the master class from the perspective of Washington DC, where antebellum southerners actually dominated American politics. MK: I’ve begun work on a book tentatively called The Radicalism of the Republican Party. Spending a dozen years with proslavery southerners has only underlined my feeling that the national victory of an anti-slavery party in 1860 was a surprising and transformative moment in American political history. After all the recent scholarship re-emphasizing the strength and power of the antebellum master class, I think we need to reconsider the origins, growth, and worldview of the party organization that overthrew that class.